When you open your computer, does your system take enough time to open? When you start your computer system, there are a number of unknown programs which get loaded to launch the operating system and some other supporting application. Each of this takes a long time to run, even a new brand PC also gets slow sometimes. This is the most frustrating situation because slow running PC in enough to drive anyone completely up to the wall. This makes the computer run very slow and starts the things off in the wrong way. After cleaning and scanning all the malicious malware and viruses from the computer, it still makes the problem while starting the PC. You turn on your computer and it feels like that it will take half an hour to start it actually. Even, there are chances if it takes too long to start; then, it is not going to start faster any more after that. There is no virus and malware in the system but still it runs slow. There are many programs which your PC needs to run properly. 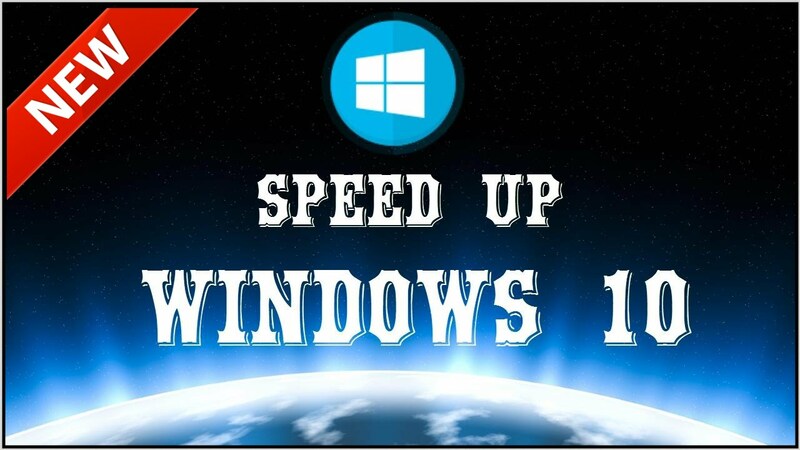 If you are using Windows 10 then you should go with the Fast Startup Feature of Windows 10. After enabling this feature, upon shutdown, Windows operating system will save the state of your device, which includes all the running apps, and drivers. It will record all the useful information which are required to boot a system, and when you turn your computer again, it can quickly boot your system via using all backup. This feature is same as the hibernation mode. First, you have to open the Task Manager, to do this- click on the Start button and open up Task Manager. Select More Details and then the Startup tab. Search for the list of automatically starting apps. Now, you have to disable the unwanted apps or services. To do this, right-click on the apps/services you want to turn off and choose Disable. There are some steps by which you can see improvement in your computer and also it will run faster. You should install a solid state drive because this can help your computer to run faster than before as it has faster read times. So, if you do not have a solid state drive, you should take it. You should stop launching unknown program at the time of startup there are many programs and applications which try to launch and this makes the computer slow. The unwanted program tries to use RAM and CPU resources and if you stop all of them, you can easily improve your startup speed. You should remove all unrequited fonts from the system at the time of startup as this slows down your PC. Add RAM to your PC because this is one of the ways to improve the PC startup time and it will make your system to run properly. You should remove or disable all the devices that are of no use. So to disable the unused device drivers, open the start menu and type Device Manager in the search box. after that find all the devices in the list that are of no use like modems, virtual Wi-Fi adapters or maybe Bluetooth controller and then disable them. By doing all the above steps, you can get your PC startup in the faster time and after that, you will have a better start for each day. After boosting the startup speed of your system, now it’s the time to boost your system performance. In order to make your Windows system fast, you don’t need to apply any manual solution – go with a professional PC booster tool and run it on your slow system. It is very simple to download and install this powerful PC Booster. It will automatically scan your entire computer and make your PC fast. This software is specially designed to deal with all types of PC issues like DLL errors, Registry issues, driver related problems, shortcut issues, junk file problems and more.